Check out Tobi's Take It Easy Sweater Introducing a knit that won't quit, the Take It Easy White Sweater. Winter just got a lot more stylish with this fan knit pullover, featuring a mock neckline, long sleeves, and a slouchy fit. 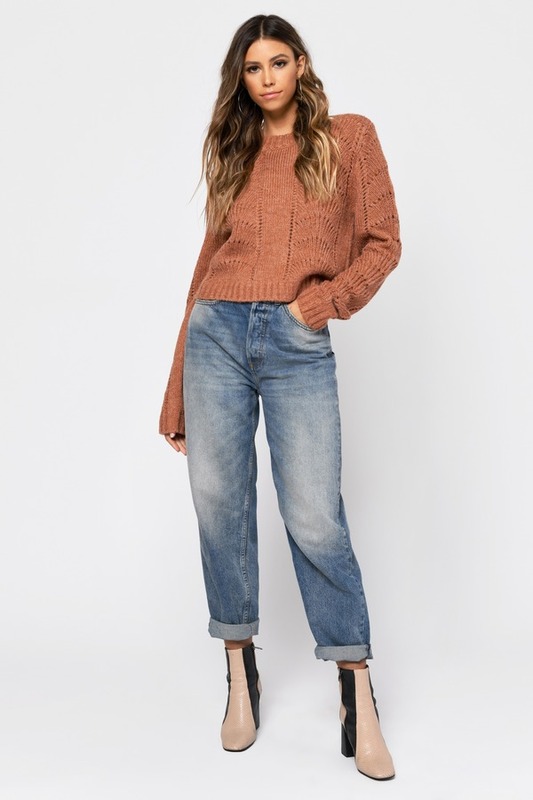 Pair this warm sweater with high waisted denim!